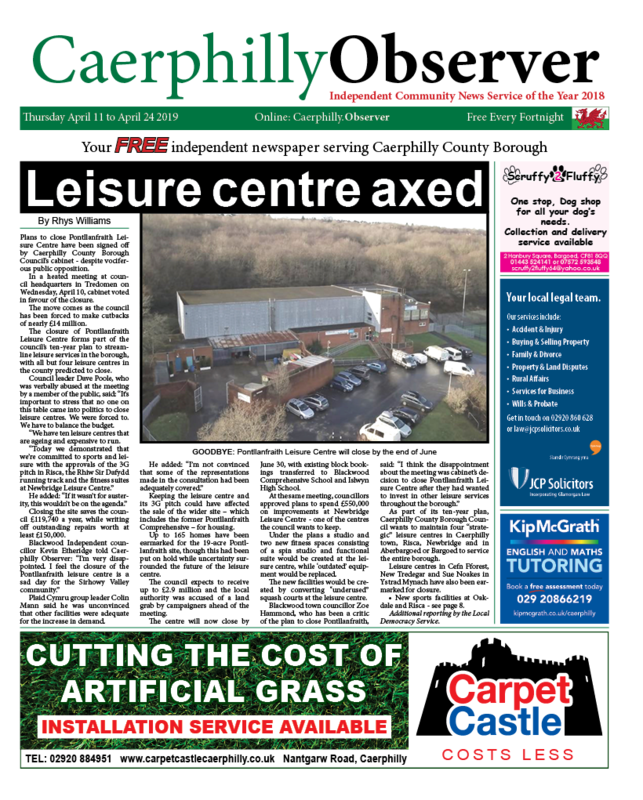 News, Sport | Rhys Williams | Published: 11:00, Tuesday April 16th, 2019. Bargoed’s Alex Gardner-Key in possession. 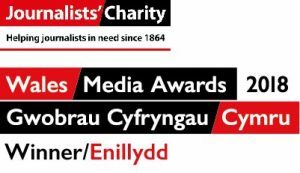 Bargoed RFC suffered a 34-10 Principality Premiership defeat at Ebbw Vale on Saturday, April 13. The defeat means the Bulls need four bonus-point wins in their next four matches to stand any chance of staying in the top division. Following a 14-game losing streak, Bargoed had won three of their last four games prior to this match. A ruck between Bargoed and Ebbw Vale. Aled James’ side started brightly and were given a boost when Ebbw Vale centre Aneurin Owen was sent to the sin bin. Bargoed took advantage of having an extra player and took the lead in the 13th minute when winger Ashley Norton crashed over for a try which went unconverted. But soon after, Ebbw Vale cut Bargoed’s lead with a penalty from Rhys Jones, who had missed a number of attempts earlier on in the game. Ebbw Vale soon picked up another yellow card, but the Bulls were unable to take advantage. Instead, it was the Steelmen who scored next. Lloyd Evans crossed over for a try after a series of pick and drives. Ebbw Vale scored another try after a lapse in concentration from Bargoed saw Paul King cross the line. The sides went back into the changing rooms at half-time with the Bulls trailing 13-5. Ebbw Vale drive through the Bargoed pack. 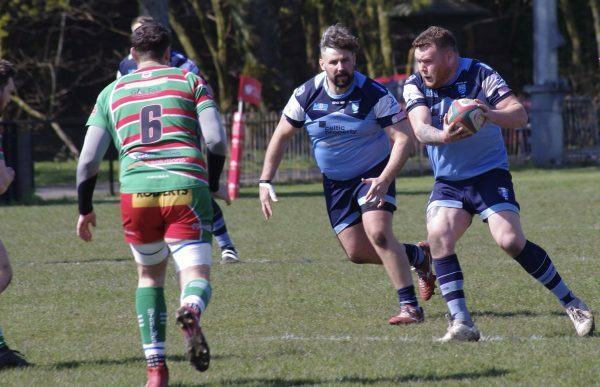 With the wind behind them in the second half, Bargoed were still in with a chance of causing a major upset. The Bulls won a penalty and decided to kick for the corner, but instead lost possession. 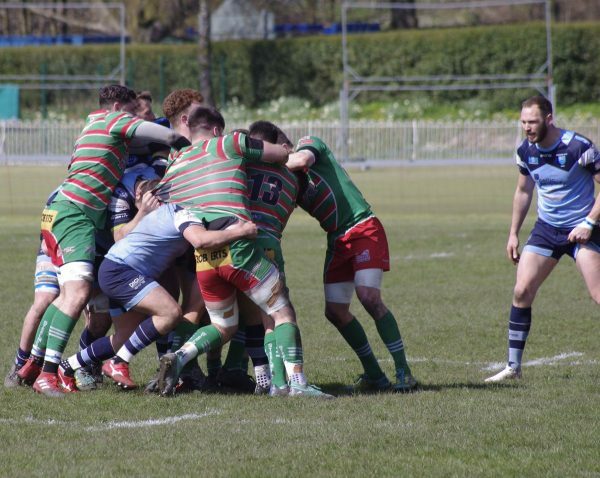 Bargoed then imploded, giving away a series of penalties which saw their opponents enter their 22. The referee sent Bargoed’s Grant Rogers to the sin bin and the hosts took advantage with Jones scoring a try and converting it himself. A few minutes later, a Bargoed kick was charged down and winger Dafydd Howells raced in to score Ebbw Vale’s fourth try. Jones converted to give the Steelmen a 27-5 lead. Bargoed scored their second try through Darren Humprhies, with 12 minutes remaining. But it was the home team who had the final say – Evans scored his second try of the game before the final whistle. Jones’ conversion sealed a 34-10 win for Ebbw Vale, leaving Bargoed all but relegated. 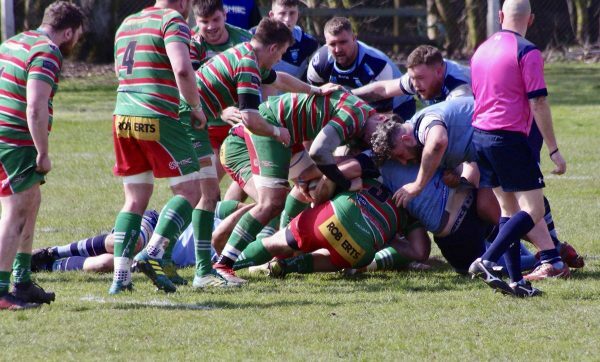 Bargoed take on league leaders Merthyr away from home in their fixture, which will be played on Saturday, April 20.